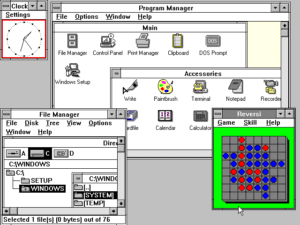 Workbench 2.0, released as part of System 2.0 (also referred to as AmigaDOS 2.0) with the Amiga 3000 on the 7th of May 1900, saw the biggest changes to date when compared to the previous versions of the Workbench Software. 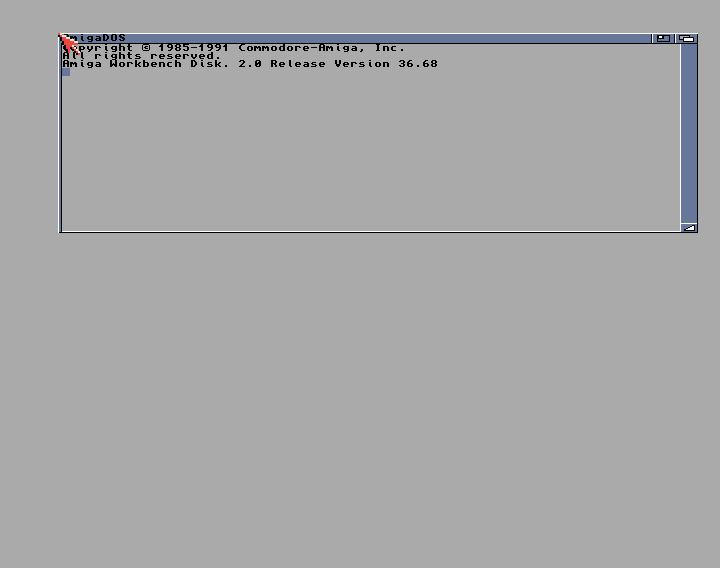 Workbench 2.0 requires Kickstart 2.0, Kickstart 3.0 or Kickstart 3.1. 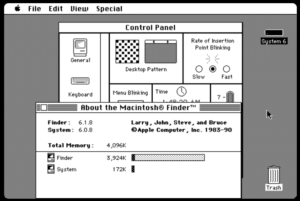 The preferences were no longer handled by a single preferences application, but split into many programs specialising in each aspect of the Workbench configuration, such as Sound, ScreenMode, Palette (Colours), Printer, Pointer (Mouse cursor look) and more. ARexx was added, an inter-process scripting language derived from Rexx on IBM machines, allowing any Amiga application that featured an ARexx port to be controlled by scripts. This allowed incredible flexibility, as any concurrently running program could be controlled by an Arexx script, provided that program had an Arexx port. One of the perhaps more frivolous applications that had come with every version of Workbench prior was removed, the Say application, due to an expiration of the licence between the software producer and Commodore. The default colour scheme changed from the Blue, Black, White and Orange of previous releases, to what was considered a more “professional” look of Grey, White, Black and Blue, to suit the new pseudo-3D look. 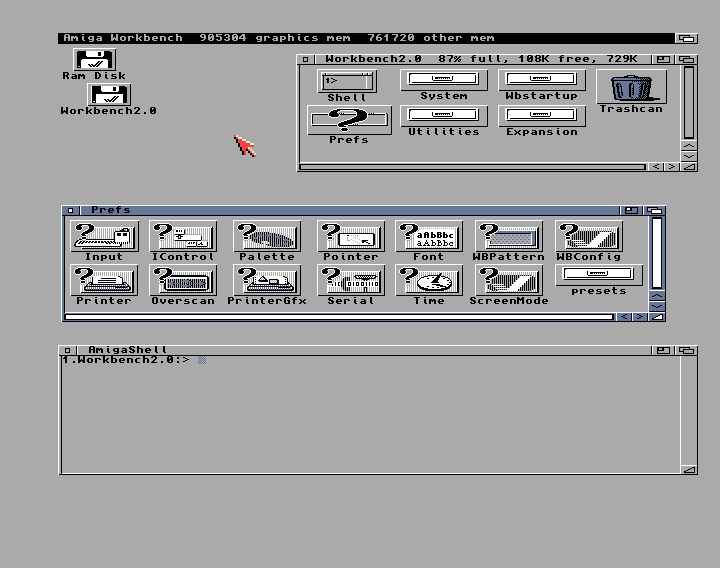 The contents of the Workbench 2.0 opened, and the Preferences drawer also opened, showing all the new preference tools. 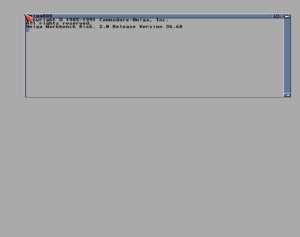 Also an AmigaShell Command line window opened. Microsoft Windows 3.0. Used with permission from Microsoft. 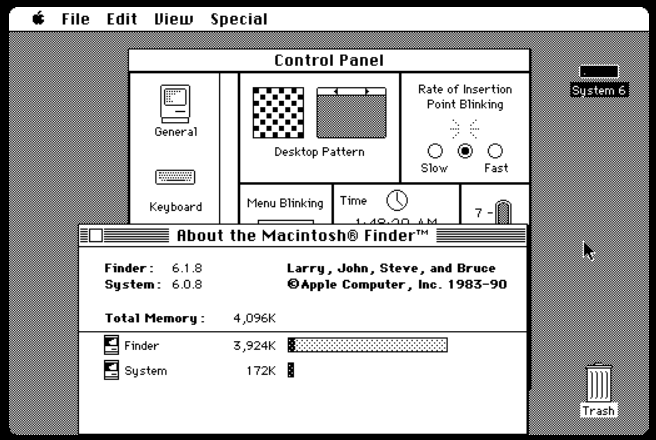 Apple Macintosh System 6 on a Black and White Apple Macintosh Classic from 1990.